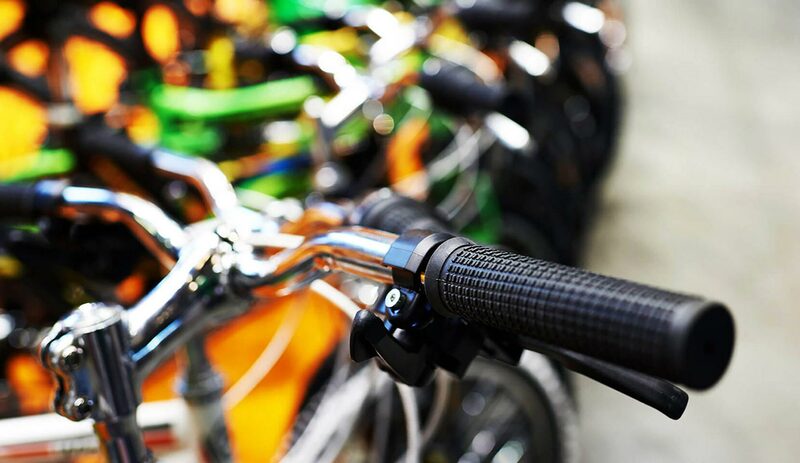 "Using FreeAgent is the best thing I've ever done for my business." We are a firm of Chartered Accountants based in London & Hounslow with over 30 years experience providing our clients a friendly, fast and reliable accounting service. We are Accredited FreeAgent Accountants and dedicate a qualified accountant to all our clients as a key point of contact providing fully comprehensive account support to Small Business, Contractors, Freelancers, Consultants and Sole Traders. We are Accredited FreeAgent Accountants. With our accounting offices based in London we are able to provide an online Accountancy Service to businesses throughout the UK using the latest FreeAgent software. The change from permanent employment to a contractor in London can be complicated considering the laws that exist. We are on hand to provide you with our expertise regarding the IR35set of rules. These laws decide if you can class yourself as a contractor or an employee which is decided by HMRC. We will advise you so that you gain all the benefits of a higher take-home pay without having to worry about the IR35 rules. Freelancers need time to concentrate on their customers, which is why we take care of all your accounting needs. At 1Stop Accountants London we offer you a “modern service” with the latest FreeAgent software support. With FreeAgent Accounting Software, you can do anything from sending invoices to creating and sharing reports at the press of a button, from anywhere, on any device. As a small business you will need to grow without having to worry about financial compliance and accounting deadlines. We use FreeAgent Online Accounting Software to help you achieve this. With FreeAgent you can do anything from sending invoices to creating and sharing reports at the press of a button, from anywhere, on any device. FreeAgent Accountants for Small Businesses, Contractors, Consultants, Freelancers and Sole Traders. 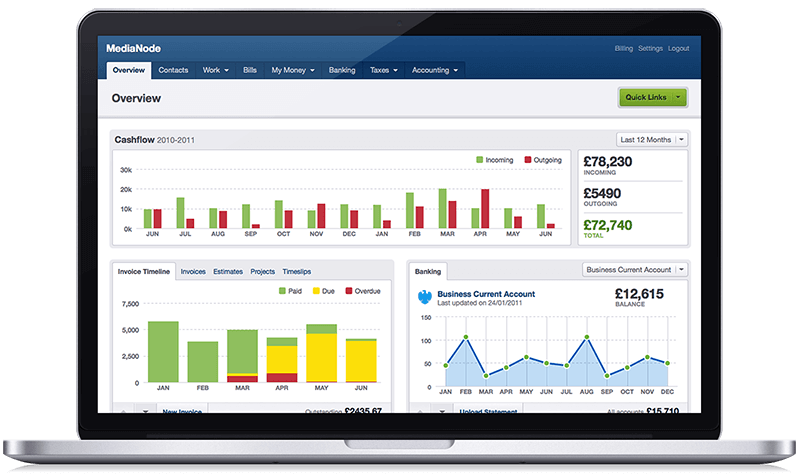 Complete visibility and control of your business with FreeAgent Accounting Software. Why Use FreeAgent Accounting Software? FreeAgent is fully web-based, absolutely nothing to install. Login from any web browser. By giving your accountant access to FreeAgent you can work together in real time. You can use FreeAgent on the go with the mobile version, which supports iPhone, Android devices and Windows platform. All transactions between you and FreeAgent are encrypted using the latest 256-bit SSL technology. We believe that selecting the right Accounting Firm along with an award wining Online Accounting Software is paramount to your financial success. 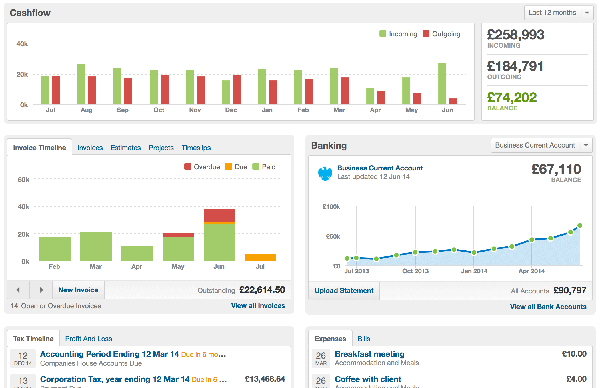 Using FreeAgent you are able to see exactly where your finances stand, in Real Time. With FreeAgent you can send invoices, automatically chase payments, analyse bank statements, track time and expenses, view real-time cash flow, monitor profit and loss, forecast tax, and submit VAT returns online. Invoices, expenses, bank accounts and more, helping you keep your business on the correct path. FreeAgent Accoutning comes with a gallery of professional looking invoice templates. You will surely find a template that will match your brand and look professional to your customers. You can also customise invoices with your own company logo and even design your own invoice template. Whether it’s a regular business payment or you’re just grabbing a coffee on the go, FreeAgent lets you track all the expenses you incur while running your business. You can build a to-do list of all tasks for your project, then you can track your time for each one. Tick off tasks as they get completed, and move on to the next task! You can also Monitor your ‘un-billable’ time as well, so you know exactly where all those hours go. 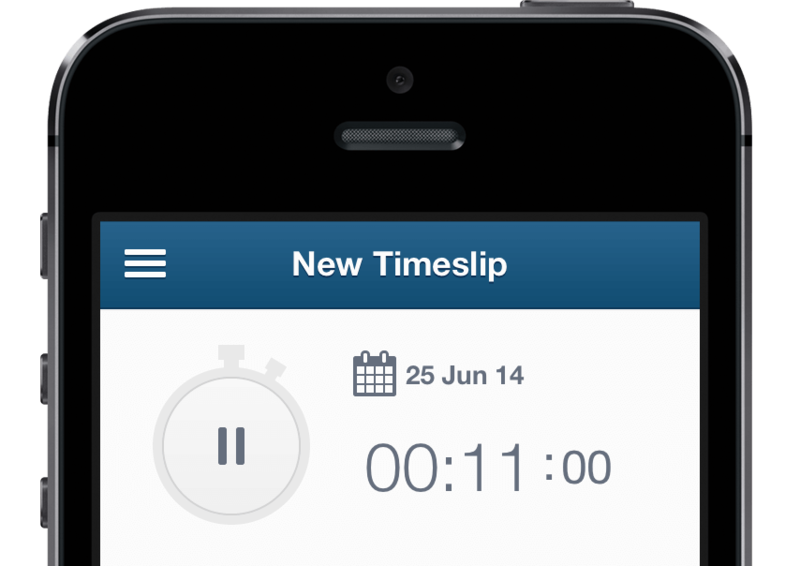 Enter timeslips or use the built-in stopwatch to accurately record every last minute of your time as you work, so you’ll always be on the ball with your billing. Connect FreeAgent to your online bank account and automatically import bank transactions every day with Bank Feeds. We support most of the popular banks including Barclays, HSBC, Lloyds, RBS and thousands of others. Or you can upload electronic statements in a number of different formats including OFX, QIF and CSV. Giving your accountant access to your FreeAgent account, they will be able to log in, review your accounts data and give you up-to-date advice. It’s a modern way of working that will benefit both you and your accountant. FreeAgent will automatically generate your VAT returns, FreeAganet also reminds you when your payment is due and lets you submit them online directly to HMRC. With the introduction of RTI staying compliant with PAYE can be a headache, but FreeAgent takes care of it for you. Run your monthly payroll through FreeAgent and file your PAYE and NI to HMRC in real time. Automatically generate payslips for all employees each month; view these online or print off as PDFs. At the end of the tax year, generate P60s for all members of staff and print them off. As you carry out your daily business FreeAgent works away, calculating your Self Assessment liability. When it’s that time of year to file your Self Assesment, FreeAgent will complete up to 90% of the Sole Trader Self Employment form, you can also submit your tax return directly to HMRC! 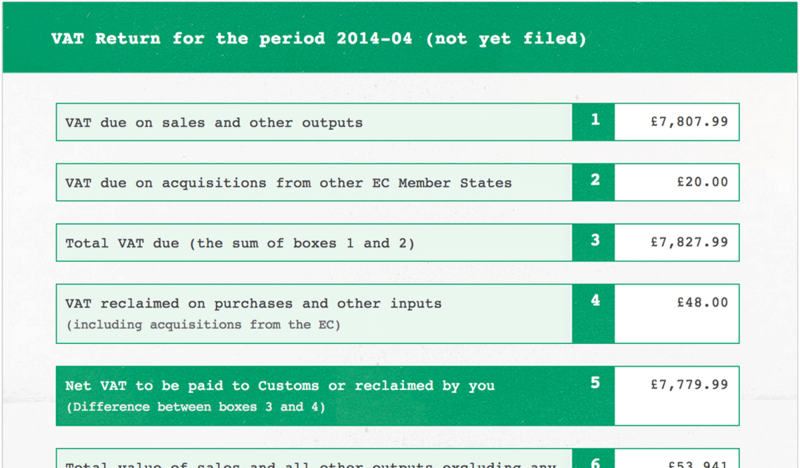 FreeAgent’s unique tax timeline keeps track of your corporation tax forecast and deadlines. There is also an option to export tax reminders into your Outlook, Google Calendar, or any other iCal calendar.